I am super excited writing this today! 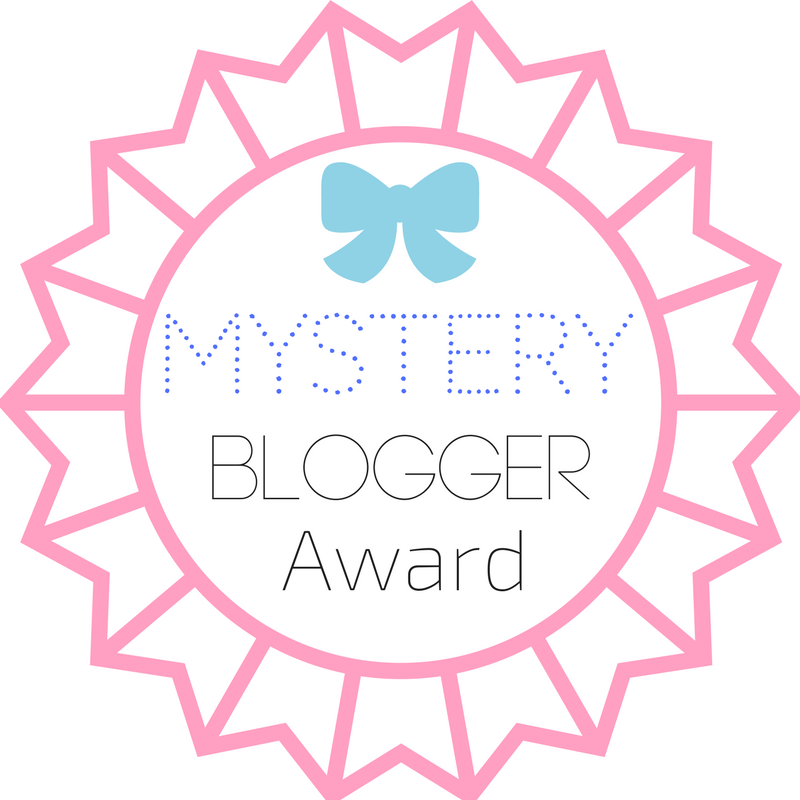 I’ve been nominated for the Mystery Blogger Award by the ever-lovely Lauren at Not Your Average Girly Girl! 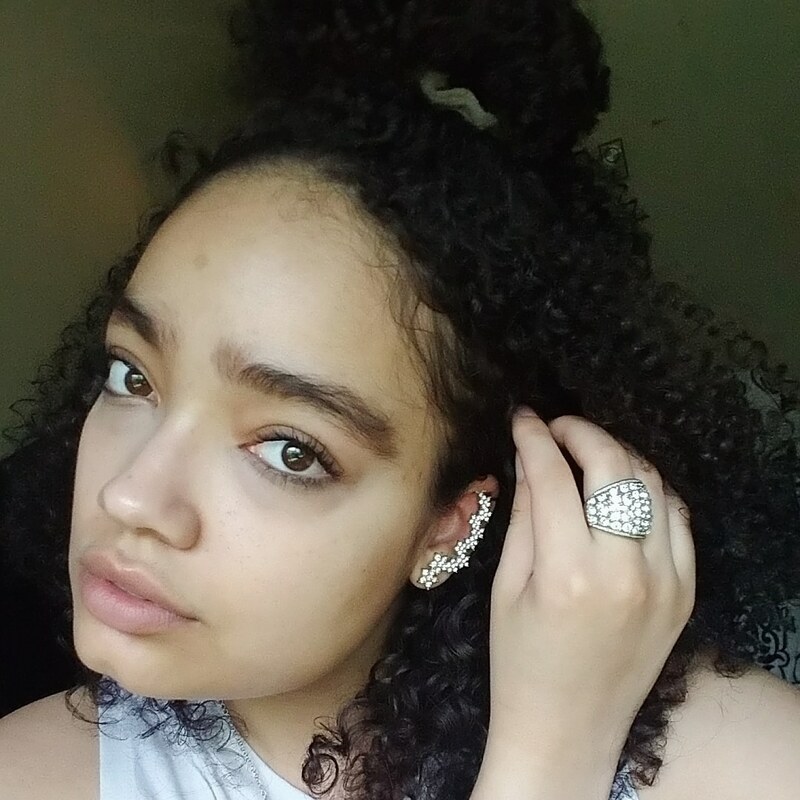 I enjoy her blog so much, it is elegant in appearance but chock-full of all the eye-catching, beautiful content you could ever want, particularly fashion, beauty, and makeup! You should go check her out because you won’t be disappointed (or bored)! I’m actually flattered that anyone could read that description of the award and think of me! 1. When you were a kid, what did you want to be when you grew up, and did that happen? A: I have always wanted to be a writer. 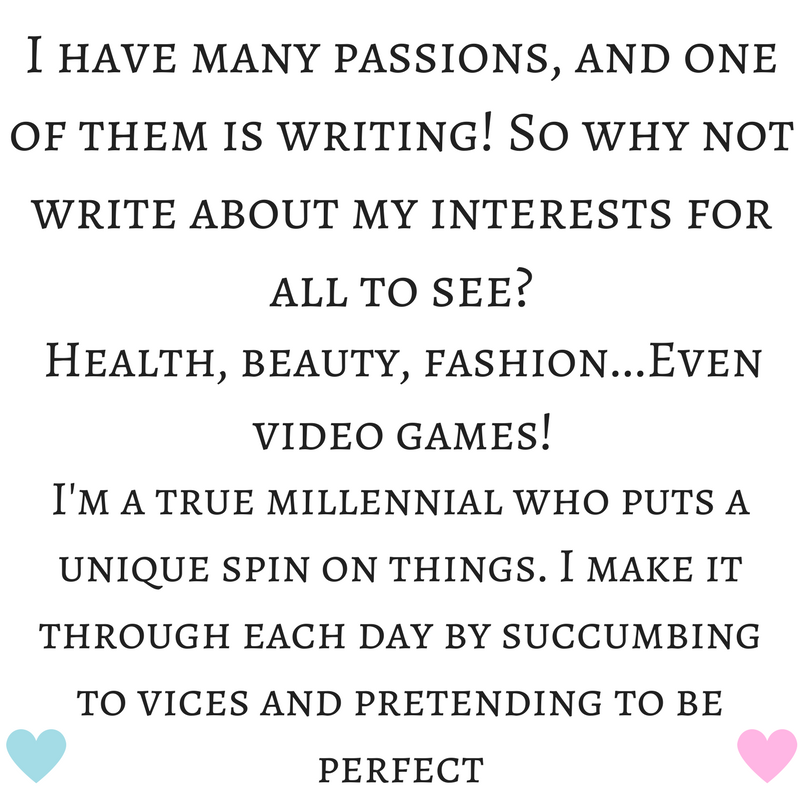 Sure, the idea to be different things and go in to different professions always flitted in and out of my mind, but they never stuck like being a writer did. I’ve always wanted to write books, and I’ve always done it. 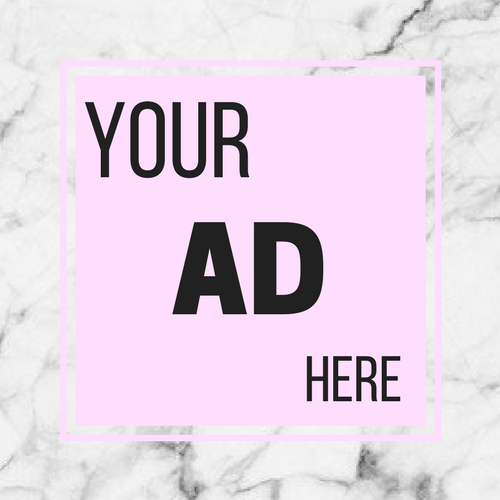 It was only recently, however, that I decided to shrug off all of the daily excuses that kept me from working on it like it was an actual job, and sit down and pound it out on my keyboard. So I’d say just recently I truly became a writer, but I guess I’ll wait ’til I actually finish the damn book before truly calling myself one. A: That’s tough! I actually don’t like the beach a whole lot… Lake beaches are dirty and crowded most of the time; ocean beaches, while beautiful and amazing places, just terrify me (deep water, marine life, etc.). Pools on the other hand are only nice when they are in your backyard, not crowded, or super upscale (or at least super clean and nice-looking). But if I had to pick one, I’d say a private ocean beach. A: I demand two answers! Okay so… The Citadel and Illium from the Mass Effect series, (this counts as one answer as they are just a hop, skip, and a light-speed spaceship hyper-jump away from each other), and then Dorne from A Song of Ice and Fire. Future and past, baby! A: Of Game of Thrones? Probably the first or the third… or maybe the fifth… Just kidding. I like mid to late spring the best. I’m an aunt! A lot of people may not know this about me, but one of my younger brothers had a baby earlier this year. She is so beautiful and absolutely gorgeous and just… I love her! If you go to my Instagram and scroll down a bit, you can see a couple of pics of the darling girl. Unfortunately, I have not even met her in person yet. I moved away from my home state late last fall, and haven’t been back to visit since. My boyfriend and I are planning on going in a few weeks, so I’ll meet her then. Until then, my mom sends me lots of pics and vids of her. My 18-Step Nighttime Skin Care Routine – I wrote this post a long time ago, when I first started my blog, and before I had even a single follower! It’s really long, because I detail each and every product I use and the purpose of the steps in my routine. When I first got the idea to write a blog, I knew I would write about my long nighttime routine because, well, you just don’t meet people with long routines like this! People are generally shocked when I tell them about my routine. Most people want fast, simple, and easy, but I want long, exaggerated, and complicated… At least when it comes to skin care! Because it was early in my blogging career, this post got buried, and didn’t get a lot of attention, views, or love. It would mean a lot to me if you guys all checked this out! It’s long so even if you just scroll through, I’d appreciate it! ❤ I’ve been thinking of posting a re-do of this post sometime in the future, with updated products, so keep an eye out for that! All of my posts – I love everything I post here… Otherwise I wouldn’t post it! I take pride in creating all of my original content, from the writing to the photography, and I make sure I’m proud of the originality as well as the quality before clicking “Publish”. So if there’s any posts you’ve been meaning to catch up on here on my site, I invite you to keep coming back and doing so! I only nominated 10, because I usually do the bare minimum like that (lol). 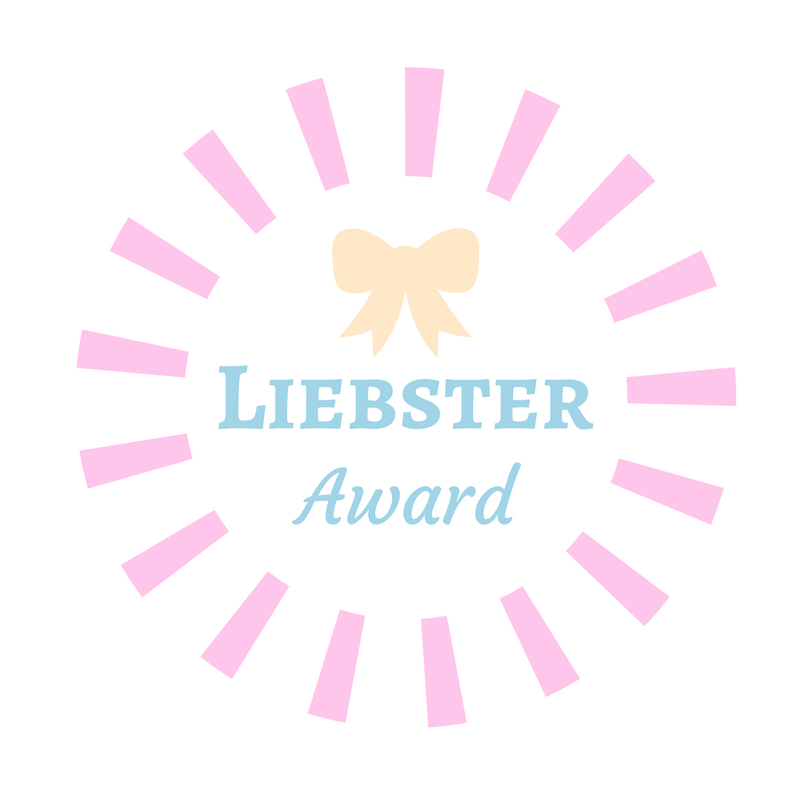 As always, none of these bloggers are obligated to accept, but they are the ones who I feel like deserve the nomination for this award, whether I’ve been reading them for months or for mere minutes. Do you have any pets? What kind of animals are they, what are their names, and why did you choose them/where did you get them from? If you could exist in any fictional world for only one year before coming back to reality, where would you live and why? What are 3 things that you are most thankful for each and every day? If you could go back in time and tell your 7-year-old self anything at all, what would you tell your child self? Thank you beautiful lady! 🙂 I’ll get round to doing this one! OMG bacon cheeseburger and fries YAS! My ultimate favourite too! Thank you for the nomination. I will get round to posting about this one. I loved reading your answers. I would love to be a morning person – I do struggle to wake up, but I hate the afternoon as well. The evening I love, but there is something awkward about the afternoon and my anxiety increases. Maybe because it’s late day. I enjoyed getting to know more about you, Helene! After reading this, I am now craving nachos, bacon, cheeseburgers, and fries 😆! I’ve always wished that I was a morning person, but I love being cozied up in bed as long as possible! Thanks so much for nominating me! Also, you are an early morning risers! Wish that was my favorite time of day! !